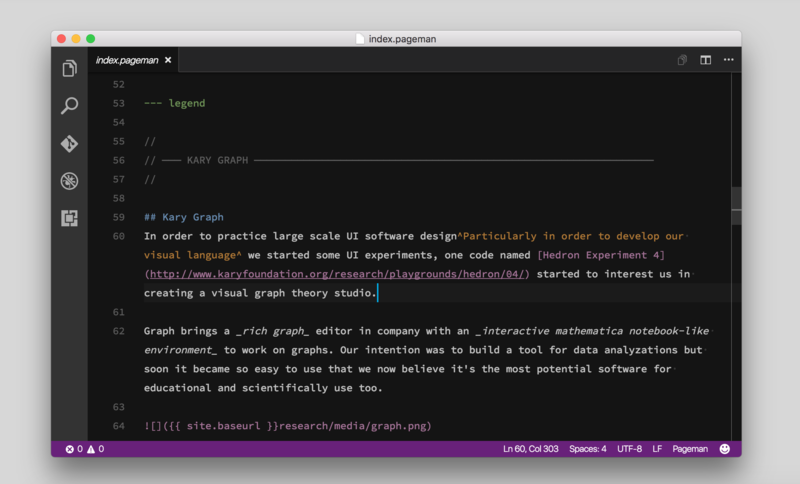 Visual Studio Code>Programming Languages>PagemanNew to Visual Studio Code? Get it now. This is a syntax highlighter for Pageman preprocessor supporting Pageman’s C-Style comments and Legend highlighter as well as a better highlighter for basic Markdown. Developed for internal use in the foundation but open to everyone for use so please only install it if you use Pageman. 1.2.3 — HTML comments added. 1.2.2 — Multiline HTML tag fixed. 1.2.1 — Jekyll's liquid language grammar added.